Revenue in the Car Rentals segment amounts to US$26,873m in 2019. Revenue is expected to show an annual growth rate (CAGR 2019-2023) of 3.4%, resulting in a market volume of US$30,686m by 2023. User penetration is 1.7% in 2019 and is expected to hit 1.8% by 2023. The average revenue per user (ARPU) currently amounts to US$213.42. In global comparison, most revenue is generated in United States (US$10,289m in 2019). The Car Rentals segment contains vehicle rentals for private use that have been booked via the Internet or an app. This segment takes into account time-based rental deals with upfront fixed costs from professional car rental services such as SIXT, Hertz, and Budget. The following are not included: carpools, chauffeur services, taxis, or car-sharing offers with usage-based or quote-based pricing models. Reading Support Revenue in the Car Rentals segment amounts to US$26,873m in 2019. Reading Support The Car Rentals segment is expected to show a revenue growth of 4.0% in 2020. Reading Support In the Car Rentals segment, the number of users is expected to amount to 140.3m by 2023. Reading Support User penetration in the Car Rentals segment is at 1.7% in 2019. Reading Support The average revenue per user (ARPU) in the Car Rentals segment amounts to US$213.42 in 2019. Reading Support In the year 2017 a share of 35.3% of users is 25-34 years old. Reading Support In the year 2017 a share of 54.9% of users is male. Reading Support In the year 2017 a share of 45.0% of users is in the high income group. 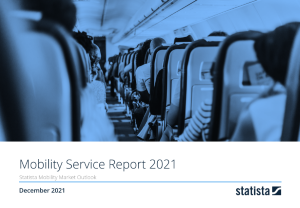 Reading Support With a market volume of US$10,289m in 2019, most revenue is generated in United States. Reading Support With a rate of 6.2%, the user penetration in the Car Rentals segment is highest in Singapore. Here you can find more studies and statistics about "Car Rentals".